Romanian anti-corruption (DNA) prosecutors are asking for a maximum prison sentence for Alina Bica, the former head of Romania’s Organised Crime and Terrorism Investigation Directorate (DIICOT), who is being prosecuted for abuse in office and bribery in a case involving an illegal restitution for businessman Stelian Gheorghe by the National Authority for Property Restitution (ANRP). The Supreme Court has ended the judicial investigation in Bica’s case and today’s court appearance will be the last one before the ruling is announced. 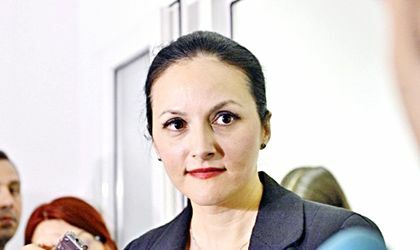 However, Alina Bica has been in Costa Rica since January, claiming that she has sought political refugee status in the country. According to DNA prosecutors, in June 2014 Alina Bica received a 4,425 sqm land plot in Snagov, a commune near Bucharest, through her former counsellor Ionut Mihailescu. 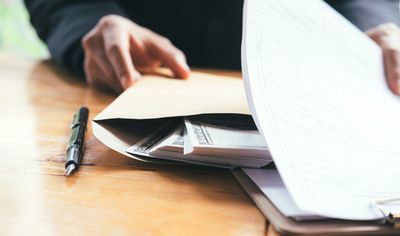 There are several other defendants in the ANRP case, who were members of the Central Commission at the Property Restitution Agency, which decided to validate a restitution to businessman Stelian Gheorghe, for a land plot that was overvalued by more than EUR 60 million. Alina Bica was in the Comission as a representative of the Justice Ministry. In the same case, businessman Dorin Cocos is accused of two counts of influence peddling and bribery as he promised Stelian Gheorghe he could get his restitution validated by ANRP in exchange for EUR 10 milion. However, prosecutors are asking for a lower sentence because he also acted as an informant in the case, but they still think he should serve some time in prison. Former DIICOT chief Alina Bica is involved in two other criminal investigations. In 2017, the Supreme court sentenced her to four years in prison for aiding and abbeting, but the decision was not final. She also received another 3 and a half year sentence in another case.